Ever wonder how you can really heat up your fundraising? Looking for ways to warm up your donor base? Want to thaw an otherwise chilly response to your latest appeals? You might want to look into one of 2019’s rising trends — goal-based campaigns to raise money for a particular project with visual tracking (like fundraising thermometers). Think a GoFundMe campaign, but with the money going toward your next big project instead of toward a dream vacation to Italy. Crowdfunding campaigns to fund vacations, health care, memorials, and personal projects are becoming more common, and nonprofits are re-examining the method and its usefulness. Goal-oriented campaigns — and the interactive graphics used to track their progress — aren’t new to the fundraising world. If you ever participated in a school fundraiser and bubbled in a poster-board thermometer with a magic marker, you know what I mean! So what’s with the resurgence of goal-oriented fundraising online? There are a number of contributing factors, but here are some of the most common. Like it or not, we live in a digital world. The upside is that it’s easier than ever to reach huge groups of people. The downside is that, as individuals, we feel disconnected from each other. Thermometers show real-time updates when other people donate. Donors see progress and know others are supporting the campaign, which is a powerful form of social proof. To make a crowdfunding campaign successful, nonprofits rely on engagement on social media and encouraging supporters to share the page. As campaigns gain more visibility, engagement increases… and an online community — even if it’s only temporary — is born. Sharing milestones, deadlines, and celebrating a successful campaign brings donors together. Celebrating a “win” with a group of people helps build bonds between your supporters. Those bonds are the beginning of a community of like-minded people who have all come together to reach a goal. That’s a big deal! There are all kinds of benefits to building a community of donors who get excited about your mission together. It’s a great way to retain donors, for one. It’s also a big part of attracting new donors who want to get in on the fun! Even without delving too deeply into the psychology behind it, we can safely say that people love meeting goals. It taps into a part of our psyches that enjoys solving problems and completing tasks, and the visual aspect of this fundraising style helps us track our progress toward meeting a goal. Meeting a fundraising goal gets donors excited, too. Since they donated, they feel a personal sense of pride when a goal is met — your community completed a big task, and they helped! That kind of personal engagement in your work is unbelievably valuable: they’re already mentally and emotionally invested in your mission, and they’re the ideal people to convert to repeat or recurring donors. A while ago, my husband donated to a crowdfunding campaign for a singer/songwriter to buy a new touring van. After the van was fully funded, all donors’ names were included in the CD art and got t-shirts distinguishing them as contributors to the tour. When the same artist needed a new van years later, he donated again… and has talked about how he helped fund two vans for his favorite artist ever since. Whether your nonprofit is buying a new transport van, a new roof for your facility, pet food and kitty litter, or another major purpose, donors love knowing their contributions made a tangible difference. Their money was used for something tangible and useful — the accompanying pride is a powerful emotion! Imagine your donors telling their friends and family that they helped build the new wing of your hospital or the new playground at your school. Current (and potential!) donors want to know that their gift will make a real difference. Encouraging donors to show their friends and family the impact they made is a great tactic for recruiting new supporters. Goal-based fundraising campaigns, fundraising thermometers, and other progress trackers are all becoming more prevalent in the digital fundraising world. They’re engaging, they’re inspiring, and they’re a great way to build visibility and momentum for your campaign. If you handle them well, they can also be fantastic for recruiting (and stewarding!) new donors. Crowdfunding vs Peer-to-Peer Fundraising: Which is Right for Me? : Crowdfunding and peer-to-peer fundraising both fall under the umbrella of goal-oriented fundraising. But what are the differences, and how can you tell which one is best for your campaign? This breaks it all down! Why Using a Fundraising Thermometer Works: This article is a deeper exploration of how and why fundraising thermometers motivate donors. When (and How!) to Use a Fundraising Thermometer: When should you use a fundraising thermometer? When shouldn’t you? What can you do to make your campaign most effective? 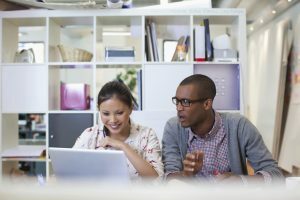 This informative article is full of tips and ideas for making your next goal-oriented campaign a success. 5 Crowdfunding Takeaways from LeVar Burton: Approximately one million years ago, LeVar Burton of Star Trek and Reading Rainbow fame launched a fundraising campaign that blew its goal out of the water. Here’s what he did, how he did it, and how you can apply the same ideas to your next campaign. 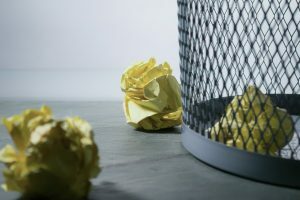 5 Mistakes to Avoid when Asking for Donations When Crowdfunding: However you decide to structure your goal-oriented campaign, it’s important to avoid these mistakes! 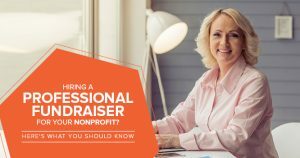 These goof-ups can have a detrimental effect on your next fundraising push. Crowfunding for Nonprofits: Build a Great Form: If you’ve ever wondered how to build a donation form for a goal-oriented fundraising campaign, look no further! This is a full breakdown of design elements on a donation form, plus explanations about how to make it even better. “Our Kids Don’t Have Recess” — A Peer-to-Peer Story: When Stephanie launched her first-ever goal-oriented campaign, she decided to try peer-to-peer fundraising… but she had no idea what to expect. Here’s how she hit her fundraising goals, what she learned, and how you can use her ideas to make your own campaign a success.